The Dow Jones Transportation Average Index does not get the notoriety of other equity benchmarks, such as the S&P 500 or the Dow Jones Industrial Average, but the transports index is widely viewed as an important tell regarding the overall health of domestic equity markets. That index is up nearly 13% year-to-date, which is good news for transportation stocks and ETFS. Some transportation ETFs are delivering performances that are even better than that this year while other transportation ETFs have been less impressive. Transportation stocks reside in the cyclical industrial sector, meaning the group is sensitive to economic data and the business cycle. Any inklings of a recession and transportation ETFs and their holdings could be in trouble. “A drop of at least 30 percent in the railroad stocks would take the S&P industry down to levels not seen since the beginning of 2017. A 20 percent decline in the air freight and logistics industry would bring it to late-2013 lows,” reports CNBC. For investors willing to embrace the cyclical nature of the transportation industry, here are some ETFs to buy. The iShares Transportation Average ETF (CBOE:IYT) is the largest transportation ETF and tracks the aforementioned Dow Jones Transportation Index. As is the case with most transportation ETFs, IYT is heavily levered to engines of the U.S. economy. This transportation ETF allocates nearly 76% of its combined weight to railroad operators, air freight and logistics firms, and trucking companies. IYT’s underlying index is home to just 20 stocks and is cap-weighted so there is some concentration risk with this transportation ETF as just two stocks — Norfolk Southern (NYSE:NSC) and FedEx (NYSE:FDX) — combine for nearly 21% of the fund’s roster. Railroad stocks do not get the notoriety of tech or healthcare stocks, but these companies are pivotal to broader market health. Through late February and into early March, a major railroad index posted eight consecutive losing days, prompting some traders to ponder about the near-term health of transportation ETFs and equities. Next to the aforementioned IYT, the SPDR S&P Transportation ETF (NYSEARCA:XTN) is one of the legacy transportation ETFs. XTN is just over eight years old and “seeks to provide exposure to the transportation segment of the S&P TMI, comprises the following sub-industries: Air Freight & Logistics, Airlines, Airport Services, Highways & Rail Tracks, Marine, Marine Ports & Services, Railroads, and Trucking,” according to State Street. XTN is an equal-weight ETF, unlike IYT, which is a cap-weighted ETF. Typically, industry funds with different weighting methodologies show significant divergences in performance over the years, but over the past the three years, these two transportation ETFs have moved mostly in lockstep with each other. The US Global Jets ETF (NYSEARCA:JETS) is the only dedicated airline ETF trading in the U.S. JETS is up 5% this year, which is almost impressive when considering that oil is one of 2019’s best-performing commodities. Airline stocks are often inversely correlated to oil prices because fuel is one of that industry’s largest input costs. The four largest U.S. carriers — Delta Airlines Inc. (NYSE:DAL), United Continental Holdings Inc. (NYSE:UAL), American Airlines Group Inc. (NASDAQ:AAL) and Southwest Airlines Co. (NYSE:LUV) — combine for nearly 48% of JETS’s roster. 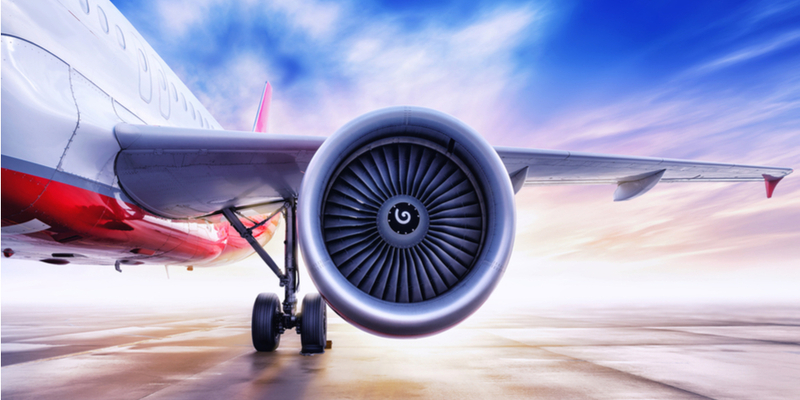 The exposure JETS provides to the largest U.S. airlines is potentially beneficial to investors at a time when earnings forecast for some of this transportation ETF’s smaller components are disappointing Wall Street. Earlier this month, “Delta said it was on track meet first-quarter guidance, including 4% to 6% revenue growth, and reaffirmed its full-year forecast. United said its first-quarter revenue should come near the midpoint of prior guidance and reaffirmed its 2019 and 2020 earnings-per-share forecast,” reports Barron’s. 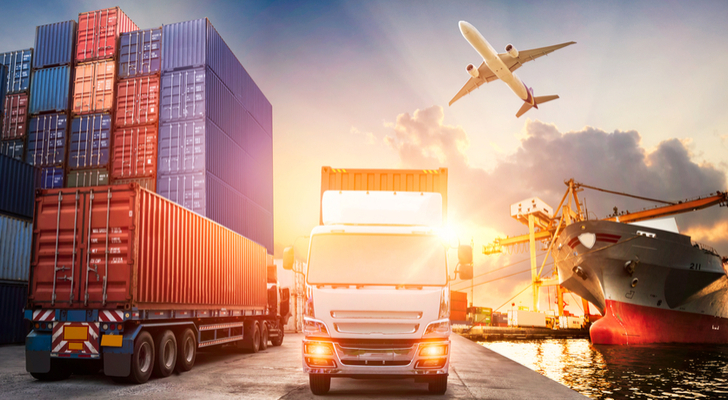 The First Trust Nasdaq Transportation ETF (NASDAQ:FTXR) debuted in September 2016, making it one of the newer transportation ETFs on the market. FTXR follows the Nasdaq U.S. Smart Transportation Index and uses a unique weighting methodology not seen on legacy transportation ETFs. FTXR’s underlying index employs growth, value and volatility metrics in its stock selection process. Components in the index are weighted based on their scores over those three factors. Eight industry groups are represented in this transportation ETF, but airline and railroad stocks combine for over 56% of FTXR’s roster. Eight of the fund’s top 10 holdings hail from those two industry groups. The heavy weight to airlines (over a third of the fund’s weight) is restraining FTXR’s 2019 performance somewhat as the transportation ETF is up just 7%. Expense ratio: 0.46% per year, or $46 on a $10,000 investment. While some of the transportation ETFs highlighted here use unique weighting schemes, the SPDR Kensho Smart Mobility ETF (NYSEARCA:XKST) truly fits the bill as a departure from the traditional transportation ETF. This is the transportation ETF to buy for investors looking for disruptive technology and growth potential. In other words, XKST is not transportation ETF for investors looking for exposure to airline, freight and railroad stocks. 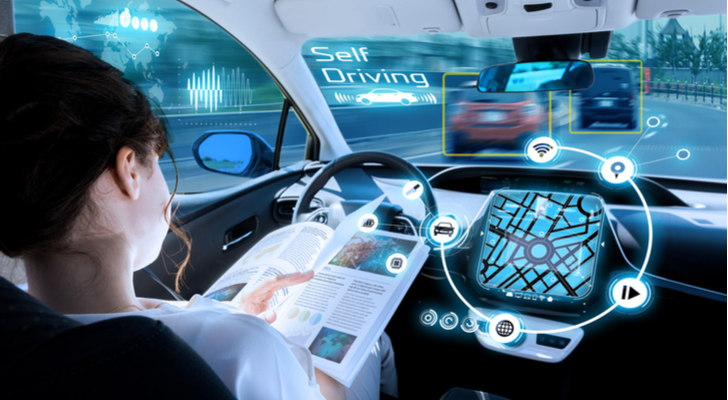 XKST provides exposure to “autonomous and connected vehicle technology, drones and drone technologies used for commercial and civilian applications, and advanced transportation tracking and transport optimization systems,” according to State Street. XKST’s 56 holdings span 15 industry groups, eight of which are from the technology sector. For investors looking to future-ize their transportation exposure, XKST makes a lot of sense. Article printed from InvestorPlace Media, https://investorplace.com/2019/03/5-transportation-etfs-to-buy-bgim/.